You might have seen Reefkoi Corals two faced clam back in November. The rather small yet unique clam sold for a healthy $250. Hold on folks, another one of a kind Two-Faced Clam hit the street (or store) and found a temporary home at Pacific East Aquaculture. 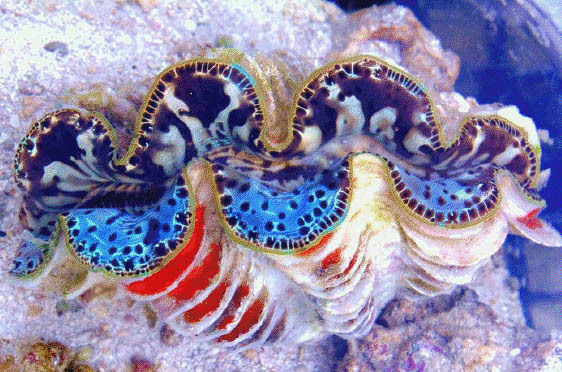 It is being sold as a “One of a Kind Chimera Maxima Clam”. If you would like to see this jewel in your reef a simple payment of $999.00 will make it happen! Oh… and don’t forget the flat rate shipping charge of $36.99.